The Mr British Isles Competition organisers are currently selecting the Finalists from Ireland. 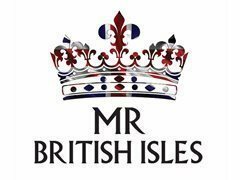 The National Final of Mr British Isles 2019 is on Bank Holiday Monday 27th May in Chester. There are fantastic prizes and the winner receives £2000 including a modelling & promotions contract, the Mr British Isles trophy, sash, an incredible £1500 portfolio. There are other great prizes too. The competition is open to models aged 20-35 on the date of the National Final. ALL FINALISTS get FREE professional photos from the photographers at the event.